The modulation of intracellular nuclear factor-kappaB (NF-κB) signaling pathway involved in the deregulated expression of cell proliferation and cell cycle regulatory molecules is a pragmatic approach for chemoprevention. Eugenol (4-allyl-1-hydroxy-2-methoxybenzene), a natural phenolic constituent of oils of cloves is known to possess attractive remedial features. In the present study, we investigated the modulatory effects of eugenol on NF-κB signaling in a rat model of gastric carcinogenesis induced by N-methyl-N′-nitro-N-nitrosoguanidine (MNNG) by analysing the expression of nuclear factor-kappaB (NF-κB) family members ((NF-κB (p50 and p65), inhibitor of kappaB alpha (IκBα), phosphorylated IκBα (p-IκBα), IκB kinase β (IKKβ)) and the NF-κB target genes that promote (e.g., cyclin D1, cyclin B and PCNA) or inhibit (e.g., p53, p21, and Gadd45) cell proliferation and cell survival. MNNG-induced gastric tumours were characterized by NF-κB activation that correlated with upregulation of IKKβ, and phosphorylation and degradation of IκBα. Furthermore, upregulation of cyclins and PCNA with downregulation of p21, p53, and Gadd45 suggested that the proliferative advantage in gastric carcinomas is dependent on elevated constitutive NF-κB activity. Administration of eugenol significantly reduced the incidence of MNNG-induced gastric tumours by suppressing NF-κB activation and modulating the expression of NF-κB target genes that regulate cell proliferation and cell survival. 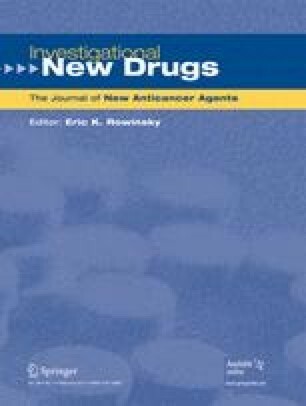 The targeting of NF-κB signaling pathway by eugenol may have a significant impact on chemopreventive and therapeutic approaches for cancer. Financial support from the Indian Council of Medical Research, New Delhi, India in the form of a Senior Research Fellowship to Mr. P. Manikandan is gratefully acknowledged.